Came across this company via a Google search when moving house. What a Find !!! The service received was above and beyond. 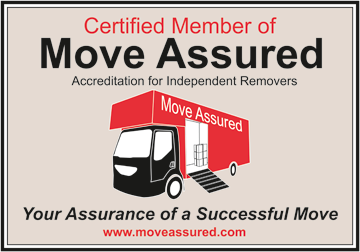 Will be recommending them to anyone who is looking for a removal service or storage facility. Exceptional value for money, and went out of their way to ensure that my goods were returned from storage at a time that suited. Thanks again. Thank you so much to Carl and his Team at Sennetts removal for a 5 Star service. The team were so friendly, efficient and professional and very competitively priced also. Every household item arrived in perfect condition, because of the care they took covering my furniture. I would certainly recommend to anyone including my family and friends. Thanks again a very happy customer!!!!! Very, VERY pleased with the full pack and removal service, the guys were great !! would recommend Sennetts anytime. Thanks again, for a great job. Wonderful removal firm. Patiently waited for our house sale to go through and then the guys worked fantastically to get our whole life shifted quickly into our new house. Great team of men who were lovely with a laugh and a joke thrown in to keep us all in the best of spirits. A very stressful day made brighter. Everything moved expertly with no damage. Would recommend this firm to everyone. The best 'move' we made hiring this firm! Thank you.